Since Gaigai has been asking to review something, we bought some Larabars that Little A Bomb (16 months) could also eat (we usually get bars with chocolate). We chose Banana Bread, Lemon Bar and Ginger Snap. Just after school and before heading off to soccer practice the kids sampled the bars. Perfect treat to give the kids some healthy and delicious energy! We cut each of the bars into quarters so that each child would get a taste (I sneaked a little bite from Little A Bomb's share). To wrap up our tasting we looked at the ingredients and packaging. Very simple - each bar had 4-6 ingredients. Tazer was impressed and it gave him the idea to experiment in the kitchen. Time to find some basic recipes for energy bars... Gaigai commented on the simple, yet bright packaging. Overall they would recommend all three flavors to their friends! Simple. Pure. Delicious. That's the Larabar motto. I usually have a couple bars stashed in my car along with nuts and dried fruit. I love the simple ingredients and that they don't contain any artificial ingredients. Great as a healthy treat alternative. 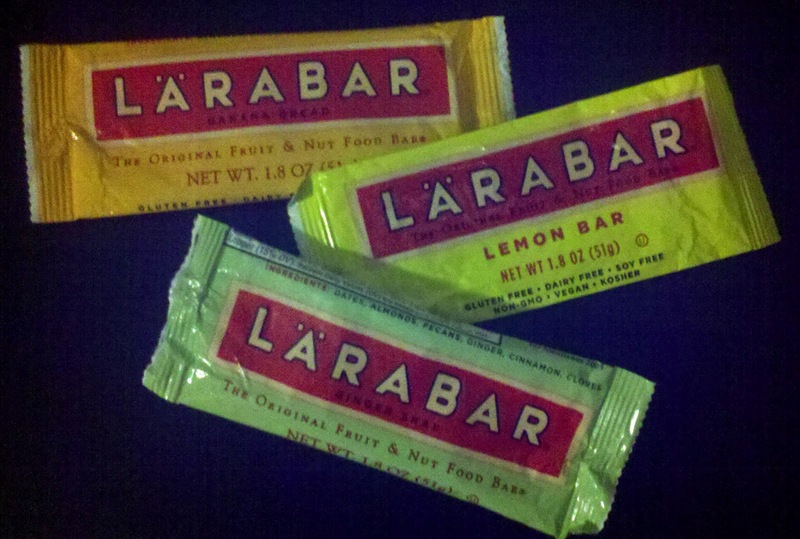 What's your favorite Larabar flavor? 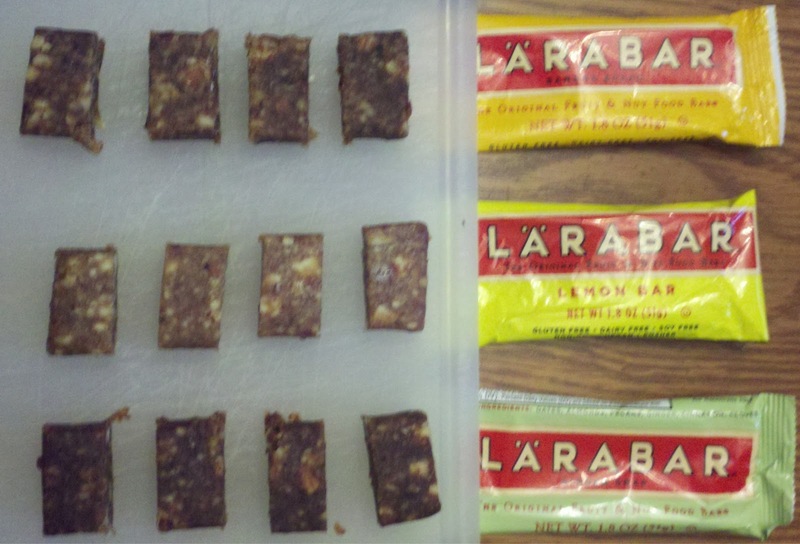 I think Brendan Brazier has a simple vegan bar recipe. I love these reviews! Clearly the apple doesn't fall from the tree. I love a new flavor Larabar just introduced--something like chocolate cherry pie (can't remember exactly) but it was great!